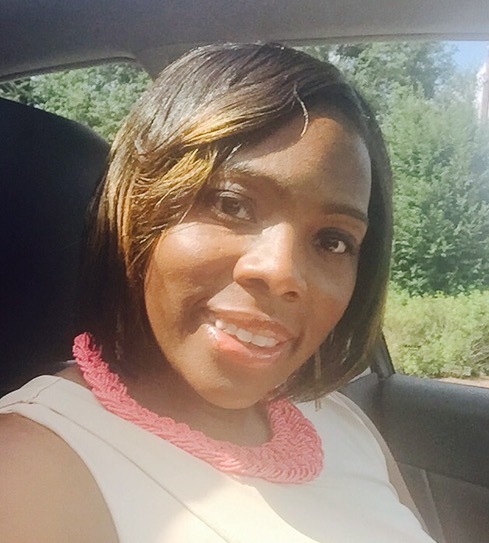 Meet Ms. Twaini (or as her students call her, Ms. Sha), Preschool Teacher at The Children’s Courtyard in Harrisburg, NC! She has been working in the field of education for eight years and has experience working with young students in preschool through second grade. Read our Q&A to learn more about this wonderful member of our CCY team! What do you like about working with the preschool age group? They are so vocal. They are able to let you know what they need, tell you how they feel. They are able to express stuff more, versus me trying to figure out what’s going on. They let you know. I have a passion for kids. I just love kids. I know that what I teach them, they’re able to go back home and say “Mom, Ms. Sha said this…” They let you know that they are understanding what you’re saying because they take that feedback home to their parents and let them know. It makes me feel good when the parents see that they’re learning with me and the kids know that we’re going to learn and have fun at the same time. Why is early education important for little ones? Because it’s what they’re going to get in kindergarten. Kids really do need that individual experience away from mom and dad and to be able to mingle with other kids. In kindergarten, that’s your life for the next 13 years. How do you maintain communication with your families? When we get a new class, we send a newsletter out and we try to stay around and meet and greet the parents personally. We let them know that our form of communication is open communication. We let them know the good things, the bad things, the areas to work on. We are real big on communicating with our parents. That’s how we keep that good relationship with our parents. Just staying open and honest. That’s how I am. What has been a favorite career accomplishment of yours? I’m a go-to here for management. If they need me to do something, they know they can come to me and I’ll do it. Can you share some of your favorite hobbies? I play softball, basketball, I run track. I’m also very active with my girls. They run track, they do gymnastics. I’m on the go with them and playing sports with them and running outside with them. Just a family person who likes to stay busy. You’ve been in early education for nearly a decade – what has that been like? I love what I do. When you don’t love what you do, you should do it. As long as my passion is high for it, I’m going to continue to do it. I like being around kids because you get to see them change. By me loving it, I’m going to stick around for a while.